Washington, DC’Eight democratic hopefuls vied for their place in the 2008 election during the All-American Presidential Debate. Located on Howard University's campus in Washington, DC. The forum, which was televised live on PBS on Thursday, June 28, 2007, marks the first time in U.S. history that an African American moderator and three journalists of color posed questions to presidential candidates during primetime. 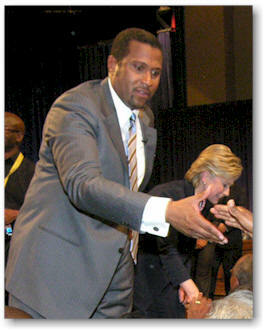 ’We live in the most multi-cultural, multi-racial, multi-ethnic America ever,’ said Tavis Smiley, the forum's moderator, who hosts The Tavis Smiley Show on PRI Radio and a late night television talk show bearing his namesake on PBS. Delaware Senator Joe Biden, New York Senator Hillary Clinton, Connecticut Senator Christopher Dodd, North Carolina Senator John Edwards, Alaska senator Mike Gravel, Ohio congressman Dennis Kucinich, Illinois Senator Barack Obama, and New Mexico Governor Bill Richardson stood their ground during the hour and a half debate while Michel Martin (National Public Radio), Ruben Navarrette, Jr. (nationally syndicated columnist), and DeWayne Wickam (USA Today and Gannett News Service Columnist) asked vital questions. From healthcare, education, and housing, to the economy, post-Katrina relief, and Iraq, the questions posed to the presidential candidates reflected a growing consensus among many Americans who are ready for renewal, significant progress, and positive change. 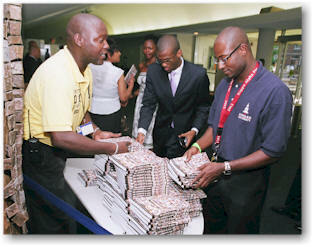 Many share a common bond when it comes to issues that concern them the most in the 2008 election. Several are frustrated (if not, devastated) by President Bush's four-long year occupation in Iraq, and would like to see American troops pull out quickly. While we are deeply disgruntled and depressed with the war, we are equally concerned about the rising costs of gas and healthcare in this country; the disproportionate number of African Americans being diagnosed with HIV; the outsourcing of American jobs; affordable housing; the education of our youth; genocide in Africa; gentrification and poverty in America. Most of us want a sincere, conscious president that we can trust; a president who believes in inclusion (as opposed to exclusion) and values unity and cooperation (as opposed to extreme individualism). We want a president to work for and with the people, actively seeking to uphold justice while steadfastly remaining a conduit; a voice; and notable beacon of hope for all humanity. Above all, we want a president with integrity who will not waver or falter when times get tough, a president who is fully aware of race and committed to eradicating racism, sexism, classism, poverty and homophobia by any means. Several members of the audience testified to this fact as presidential candidates spoke. They listened eagerly, occasionally clapping and nodding their heads assuredly each time someone said something that piqued their interest or was greatly similar to their own spiritual and moral values. Those in attendance included, but certainly not limited to: Dorothy Irene Height, Marian Wright Edelman, Cornel West, the Reverend Al Sharpton, Harry Belafonte, Ruby Dee, Sonia Sanchez, Michael Eric Dyson, David Satcher, Deval Patrick, Iyanla Vanzant, and countless others. Hillary Clinton and Barack Obama were the forerunners in the debate. 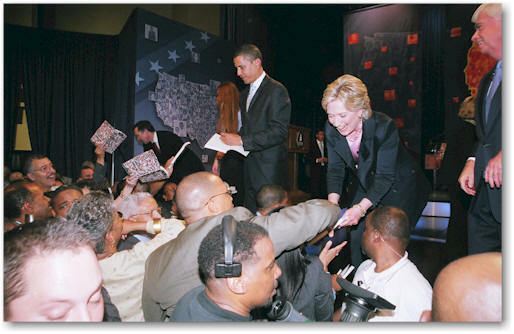 A convincing and determined Clinton drew heavily on her previous experience in the White House while an encouraged and thoughtful Obama took his time, searching for the correct words to please his predominantly Black audience. If Obama appeared to be a tad bit nervous at the beginning of his speech, he most certainly must have felt at home at Howard University, a prestigious, historically Black college, nestled in the heart of the nation's capital. 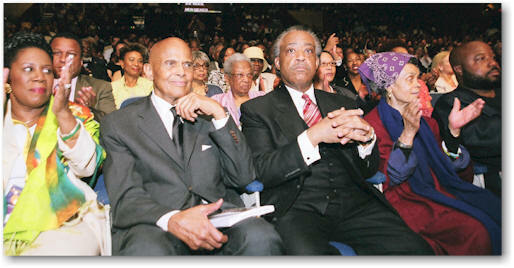 Several times during Barack's speech, for example, he evoked the spirit of the Black church. His distinguished, resonant voice, superior oratorical skills, and ability to incite a spirited call and response from the audience caused audience members to feel as though he were a notable Black preacher speaking from behind the pulpit. Having our needs, as African Americans, met in the 2008 election certainly could not happen if we did not directly ask presidential hopefuls, especially those who are neither African American nor a person of color, how they felt about race in America. Dennis Kucinich, Joe Biden, and Christopher Dodd agreed. Mike Gravel, however, talked about the war on drugs and how we can combat addiction in the African American community whenever he was asked about race. ’When will we learn that the issue of drugs is a public health issue, addiction is a public health issue’not a criminal issue where we throw people in jail and criminalize them to no advancement of the people?’ Gravel asked. While Joshua admired hearing Edwards, Clinton, and Obama, she especially appreciated the opportunity to also hear candidates like Gravel, Dodd, Kucinich, and Richardson, who she didn't really know. Democratic contenders were also posed questions about the alarming disparities of Blacks and whites being diagnosed with HIV/AIDS. According to the Center for Disease Control, for example, African Americans make up 17% of the teenage population, however, they account for 69% of all American teenagers diagnosed with the disease. Much like Obama, Senator Clinton received a resounding applause from the audience when she spoke out about the large disparities between African Americans and whites who are diagnosed with HIV. Khalila Brown and Shawn McLeod admired Clinton's response. ’Even if the plans Clinton suggested failed, her thoroughness was impressive,’ said Brown. ’It was a sign that this wasn't the first time she had thought about the issues. One thing is certainly clear: We, as African Americans and people of color, will continue to hold our leaders accountable for their actions and will seek out justice’not just in presidential candidates, but also at home and in our very own communities. While we want a president to protect and defend our human rights, we also want the freedom to know that we are the one's we have been waiting for. Dr. Jamie Walker is a journalist and poet. Her most recent poetry collection is called Signifyin’ Me: New and Selected Poems.